Strange combination, isn't it--gratitude and resentment? But this is the way I think. Actually, I think everybody thinks that way. 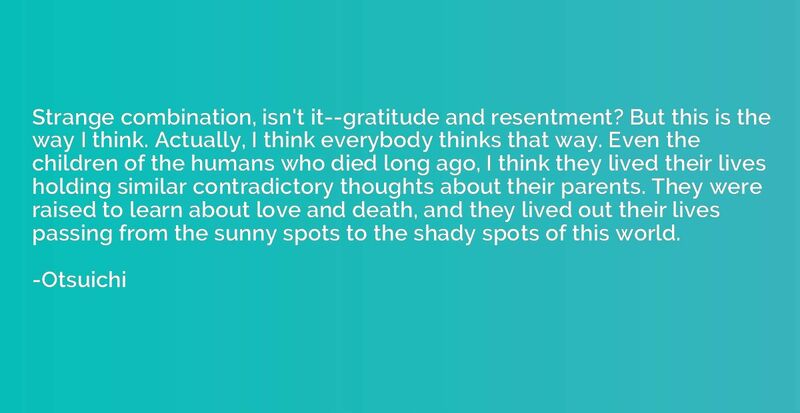 Even the children of the humans who died long ago, I think they lived their lives holding similar contradictory thoughts about their parents. They were raised to learn about love and death, and they lived out their lives passing from the sunny spots to the shady spots of this world.